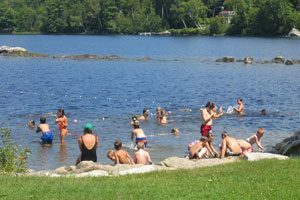 Lake George Regional Park offers a wide array of activities and amenities to visitors throughout the year. 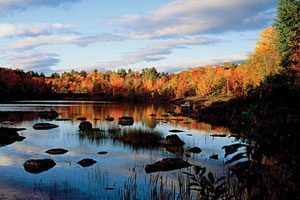 The lake and its surrounding 320 acres of land, two sand beaches, playing fields and extensive hiking and walking trails, are great for swimming, fishing, boating, cross-country skiing, snowshoeing and exploring the Maine outdoors. Come and enjoy our sand beach, launch your boat, fish Lake George or hike one of our many trails. Enjoy spectacular fall foliage and crisp fall days, hiking one of our numerous trails. Fall is a great time to continue to enjoy watersports, especially boating and fishing. 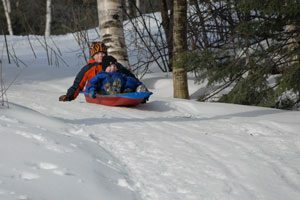 Snowshoe or Cross-Country Ski one of our groomed trails. Try your luck ice fishing, a favorite winter pastime.